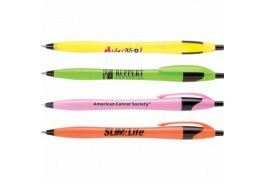 Toss your customers a promotional pen they’ll never forget! 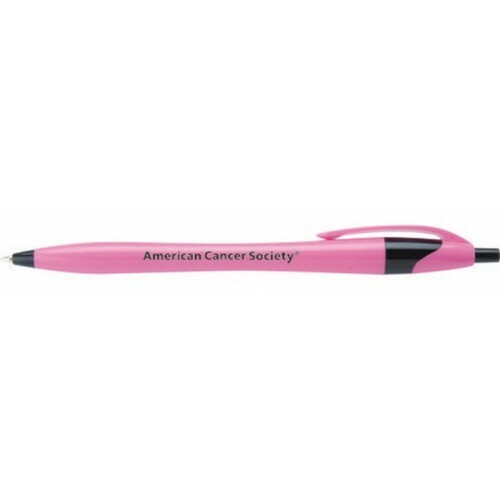 With a uniquely shaped body, your brand will fit comfortably in their hands when it’s imprinted onto the Javalina® Tropical pen. 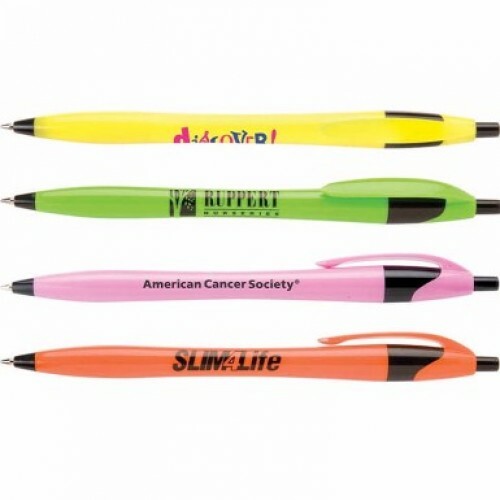 Offering a large imprint space and an array of hot tropical barrel colors, this ballpoint pen is a great give away at marketing events, trade shows, and many other venues. It also contains an ultra-smooth writing ink cartridge. Choose from Black or Blue Ink. Price includes a Full Color Imprint!